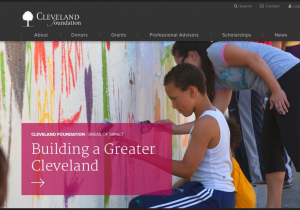 A paid 11-week program, the Cleveland Foundation summer internship is one of the best in greater Cleveland. Since 1999, the Foundation has placed undergraduates and young alums in local nonprofit and public sector organizations. Interns also participate in and coordinate weekly seminars highlighting key organizations and programs being conducted in the local nonprofit and public sectors. The program’s objectives include: offering first-hand knowledge of the Greater Cleveland nonprofit community, its leadership, and organizations; Providing meaningful career-related work experience; Providing a full time, paid internship opportunity ($12 per hour); Increasing local organizations’ capacity to conduct important short-term projects; Stimulating interest in a career in the nonprofit or public sectors; Exposing students to a broad range of public sector endeavors.